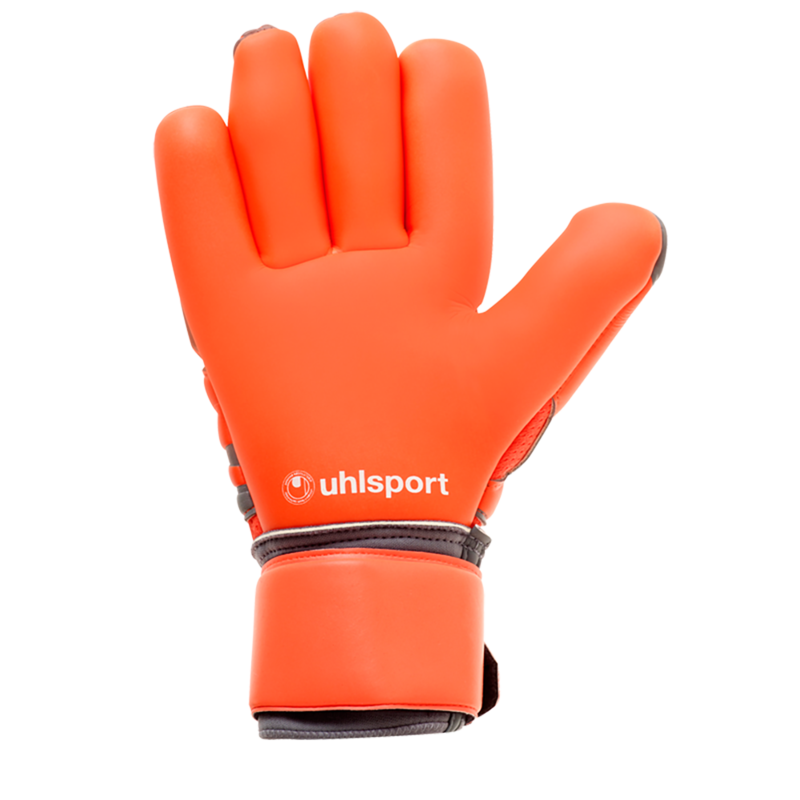 Uhlsports unique finger surround cut is back for Russia 2018 World Cup. Imagine all the benefits of a roll cut and negative cut combined and you have the finger surround cut. 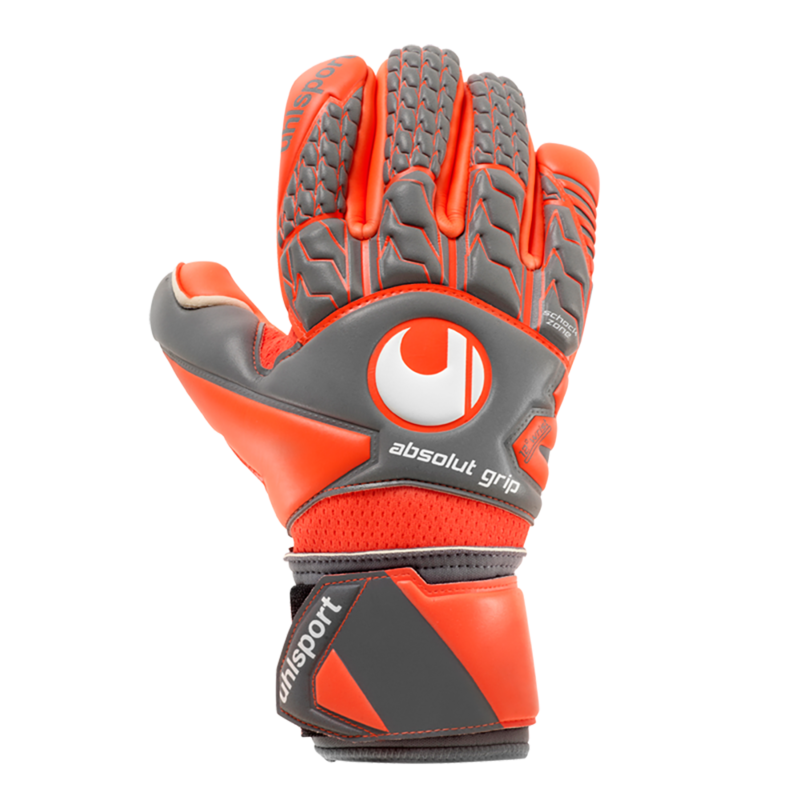 Limited edition Aerored colorway and the awesome gripping Absolutgrip latex make this a great choice! Full 3D embossed latex for extreme comfort and feel. 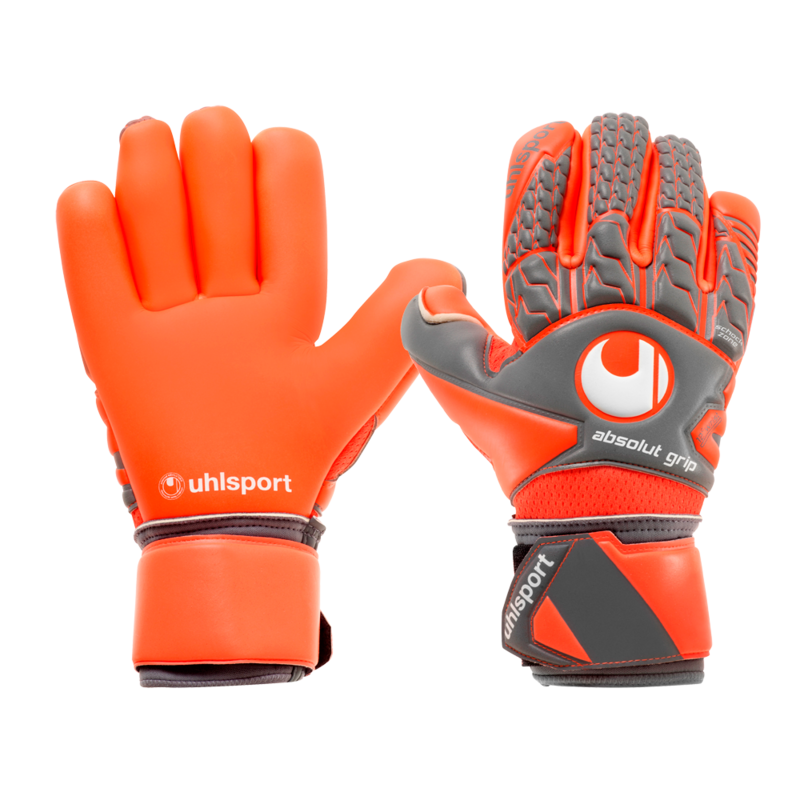 The backhand also features Uhlsport ShockZone for protection when punching the soccer ball. Finger Surround cut for tight fitting and perfect surround grip. The thumb features a flexible construction with wrap around latex. If you prefer a tighter feel from your goalkeeper gloves or you have slender hands, these gloves will be perfect for you. Feels like a custom fit. This goalkeeper glove is an excellent option for female goalkeepers who need a more slender cut glove. Provides all the benefits of a roll and negative cut combines into one. Limited edition glove for the 2018 World Cup in Russia. The Aerored pack will be seen on Uhlsport pros in the tournament. Available in size 7 through 11.